First a couple of pictures from a pair of guest contributors, Tom Stoyka and Dan Zvanovec. Tom did the flying, Dan took the pictures. They were flying over the west end of the Manitou, around Brûlé Point yesterday. This picture looks west, with the tip of Brûlé Point dead center. Above that is Ptarmigan Bay, which looks to be mostly open, but you can see ice further west by Copper Island. In the foreground, by the leading edge of the wing, is a big pan of ice in the west end of the Manitou. These pictures were sized for speedy emailing, so you cannot click on them to see a high-resolution version. This is a closer look at the same area. 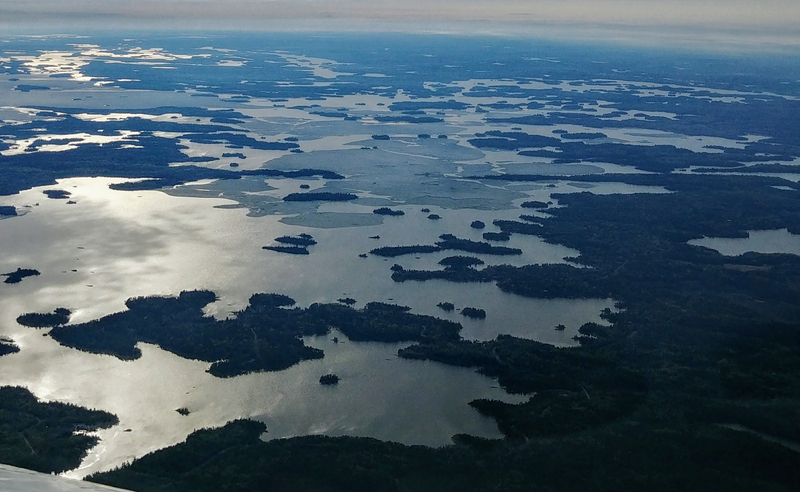 Brûlé Point is at the very top right corner above the wingtip, and the land in the upper part of the picture is part of the Western Peninsula, including Bluebell Lake at the left edge. Thanks to Tom Stoyka and Dan Zvanovec for these photographs, and to Karen Loewen, who got Dan’s permission and sent them to me. Next up, the latest graph from Sean C.
We’re still making rapid progress, warming up almost as fast as 2007, and staying on track to be 100% ice-free by May 11. That’s a full week better than I expected back in mid-April. I’d like to take a moment to talk about one of Kenora’s best kept secrets. As an author, it bothers me that so many people don’t know we have a local independent bookstore. Elizabeth Campbell Books is on Main Street, right next door to the Plaza Restaurant. Elizabeth is a stellar supporter of local authors like me. 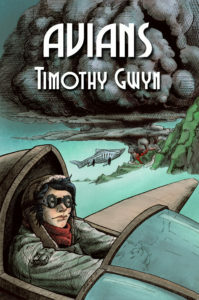 If my brand of girl-power science fiction isn’t your cup of tea, she’s got non-fiction as well as fiction, plus art and photography books, kid’s books and indigenous art. Want to read about Kenora’s infamous bank bombing? The Devil’s Gap by Joe Ralko tells the story of Canada’s first suicide bomber. 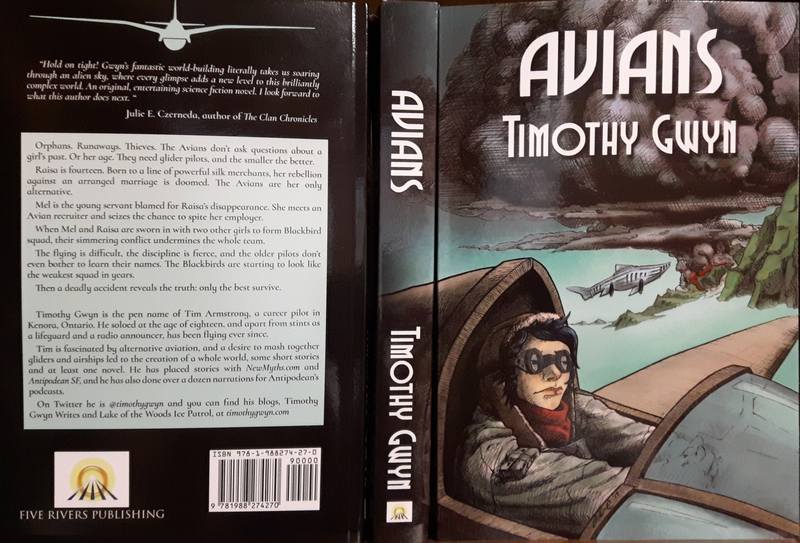 Bush Flying Captured features the splendid aircraft photography of Rich Hulina. Local history? Community Ties by Kathy Toivonen and Kim Manduca explores the railways of Northwestern Ontario. There are many more great titles that I couldn’t list here. She also has whole rooms full of used books perfect for the cottage or the trip to and from it, so don’t hesitate to look beyond the front showroom. I hope to have more new pictures tomorrow. In the meantime, I’ve updated the satellite links, and added a new one. I haven’t had much time to play with it yet, but Kevin Weber sent me a link to the NASA site that shows the MODIS pictures. 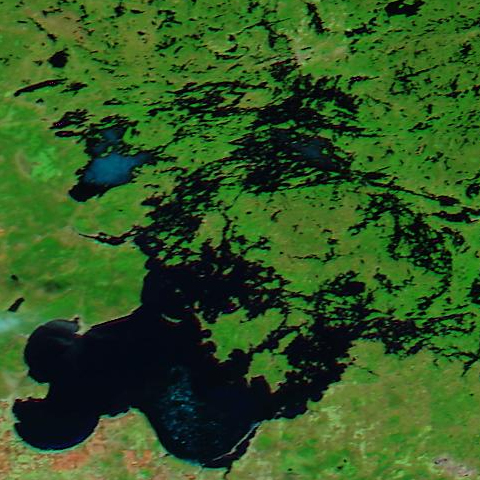 In these images, the view of Lake of the Woods is at an angle from the south. 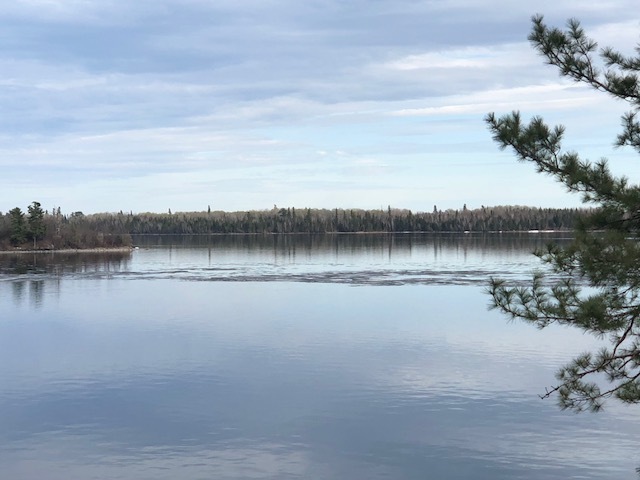 Summary: some Lake Dwellers will be able to reach their camps near Kenora already, and more of the lake will be opening up every day. Keep an eye on the comments section for reports from active boaters. 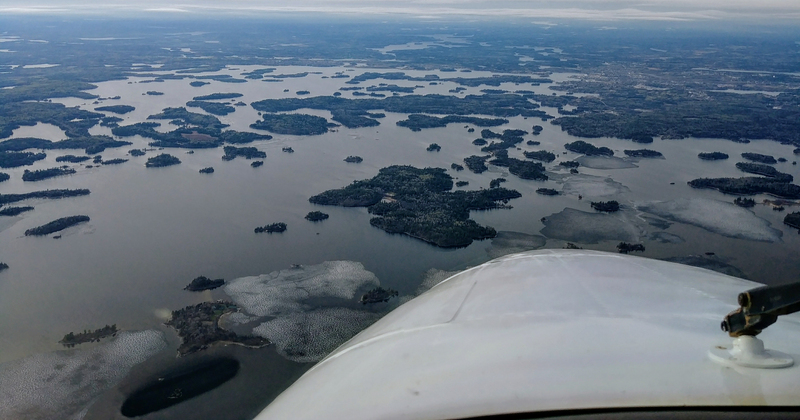 We had a training flight today that covered a fair bit of the lake. I’ll lead off with another look at Rat Portage Bay and Safety Bay. The ice is letting go on Laurenson’s Lake, just right of center in this picture, and further away, the ice on Rat Portage Bay looks weaker, too. Our second picture looks south east from Bare Point. Lunney’s Island is toward the left, and beyond it is Scotty Island. At the right side of the frame is Town Island. If you zoom in, you’ll see little patches of water all over the place, but you can’t help but notice there’s a lot of ice out there still. We went further in this direction, so our third picture is The Manitou. That’s the western tip of Scotty Island at the lower left corner, and Whiskey Island is the isolated island in the white expanse that is the Manitou. Not so many holes out here; this part of the lake melts late. Next we swung around to look at the Devil’s Elbow, the biggest patch of water near the Barrier Islands. Mather Island is at the right, Allie Island is near the middle of the picture. Further south east, it’s all ice from Oliver Island, past Ferrier Island and pretty much all the way to Yellow Girl Bay. We flew to Sioux Narrows. This is taken from over Long Point Island, looking at Regina Bay. Mostly ice here. For our next training exercise, we needed blue sky, so we turned west and headed for this gigantic “sucker hole” in the clouds. That took us down the western end of Long Bay, so here’s a look at Whitefish Narrows. There are some promising patches of water there. We climbed up higher, and caught this view as we turned north to stay in our patch of blue sky. The distinctive island in the foreground is Cintiss Island, with Crescent Island behind it. Beyond that, the span of the Barrier Islands, stretching from Crow Rock Island at the left to East Allie Island at the right. There is open water at each narrows, but there’s also a lot of ice on the lake. 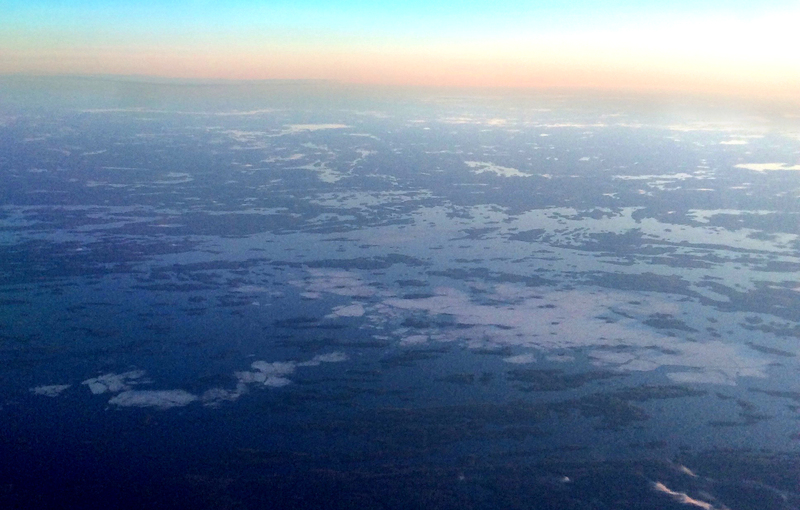 From our higher vantage point, we could clearly see Shoal Lake to our west. 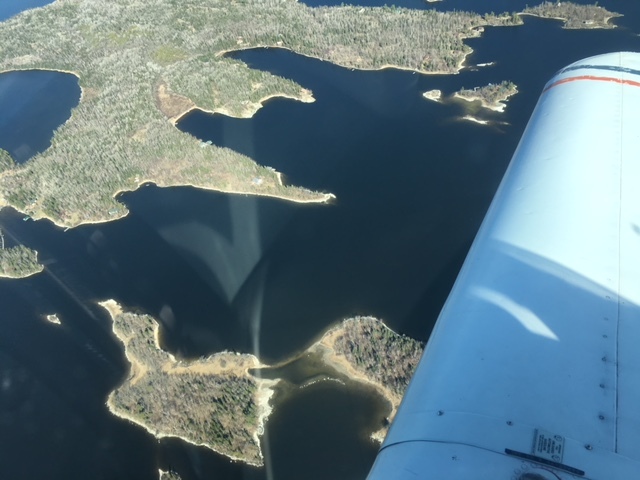 The little lakes on the Western Peninsula are opening up, but Shoal Lake is deep and shows only tentative signs of opening up along the shores of Carl Bay, near the middle of this picture. I thought you might like to see some real water, so here’s Big Narrows. You’re looking east, with Ferris Island at the lower right. There’s open water all the way to Oak Bay, just above the middle of the picture, but Wiley Bay, to the left of it, is all ice. Here’s a closer look at Wiley. From here, the only water we see is on the shallow lakes of the Western Peninsula and along its shorelines. 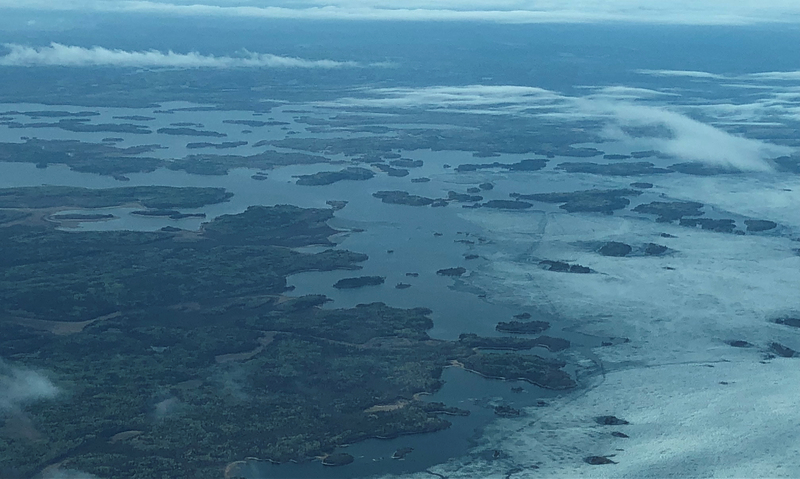 On the home stretch back to Kenora and the airport, we caught this view of Poplar Bay. It’s mostly frozen; the dark patches are cloud shadows. The Tangle is open though. 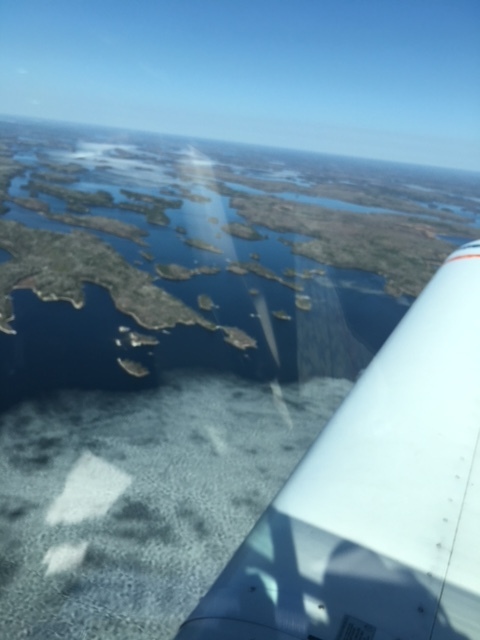 Chasing patches of blue sky and steering away from aircraft inbound to Kenora set us roaming around today. I don’t often cover so much territory that I need to dig out four or five different marine charts, so I hope you enjoyed the tour. 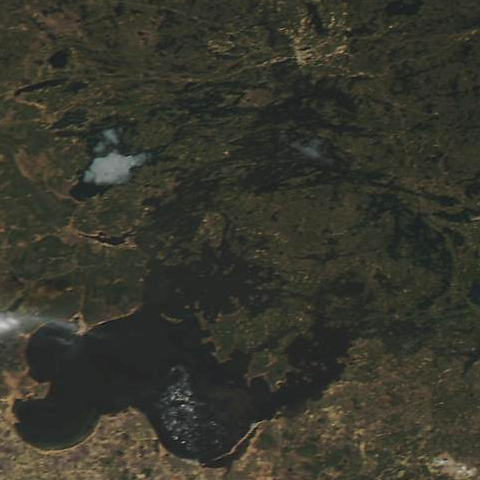 If you’re in Kenora, it’s easy to form the impression that everything is melting fast, but there’s seventy-odd miles of lake you can’t see from town, and it’s mostly ice. It isn’t all going to melt this weekend. 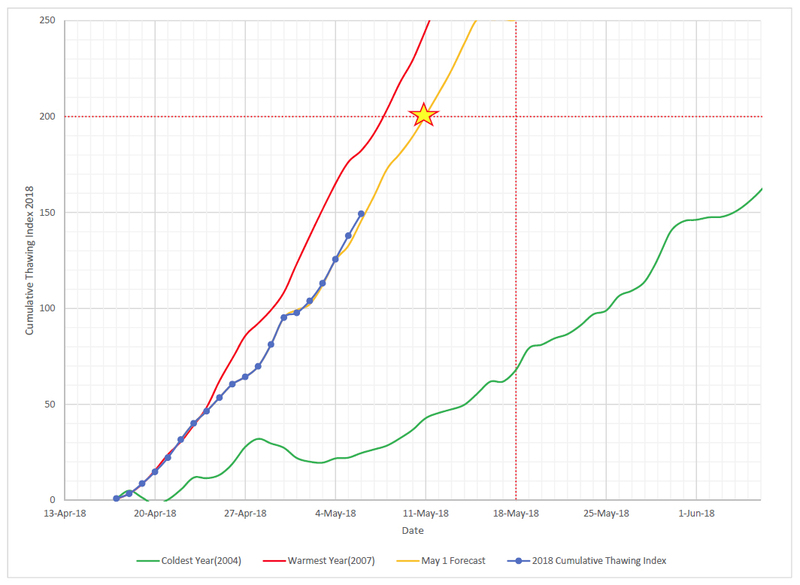 We are making good progress, so our very late thaw can be upgraded to rather late.